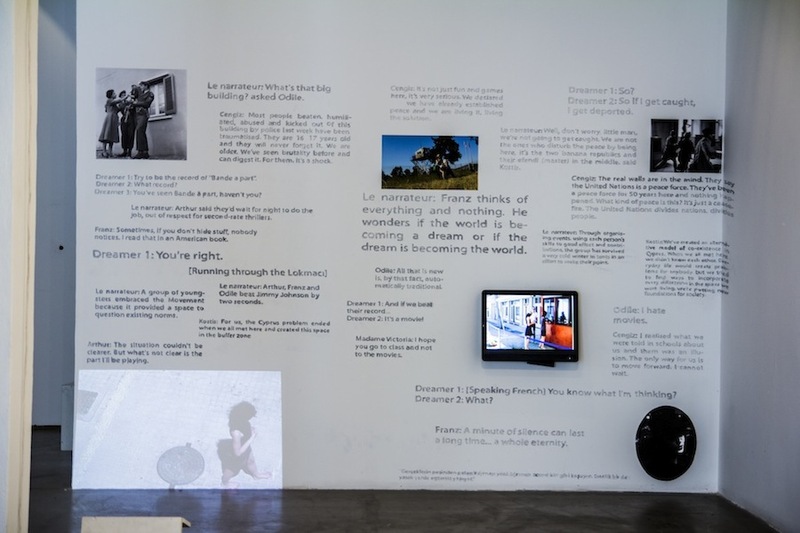 “L’espace” is an installation consisting of two videos, a monitor, a projector, still images, text on the wall. Everyday routines stage gaps of memory, vitalize leaks of time and space. 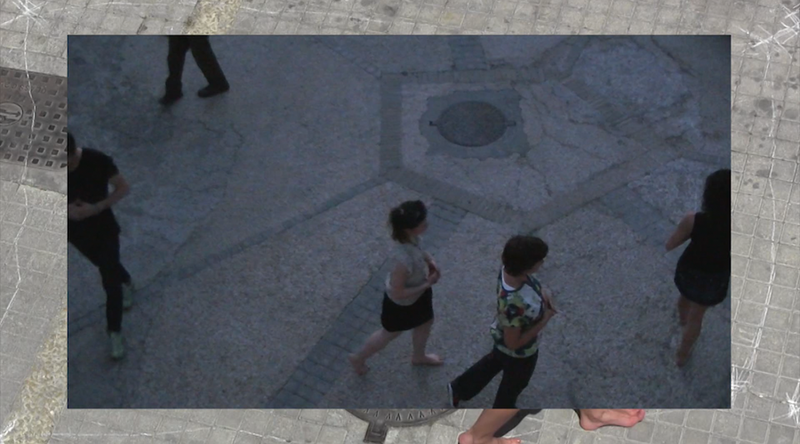 The intersection of casual moments with significant moments of Cyprus’s history turn to performative actions: the action of filling the gaps with fictional and documentary film scenes/dialogs becomes a guide to find another zone to occupy in order to meet the notion of “one’s own time”. A running scene through the Lokmacı (passport check point in Nicosia/Cyprus) or a casual attempt to be the record of “Bande à part” (Remember Jean-Luc Godard’s 1964 film, ‘running through the Louvre’ scene). This is United Nations Buffer Zone – that means photography and filming are prohibited – but acting is free – or at least, unmentioned. Walking meditation in Nicosia, around the buffer zone: I started alone in the midday, people joined me in the afternoon. Leaving a space between us, hearing the voices coming from the church and the mosque simultaneously, aware of the fact of being filmed on the street, looking inside ourselves to meet our own time. One by one, at the same time.